Set and match to Garador! 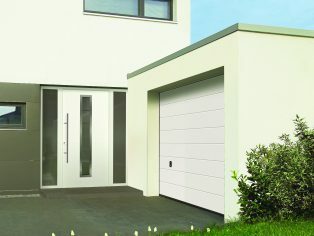 Garador has introduced a complete range of front entrance doors to complement the styles and designs of its garage doors. These exciting new FrontGuard front entrance doors have been carefully designed to match many of Garador’s popular Up & Over and Sectional garage doors, with a wide range of styles, designs and colours. 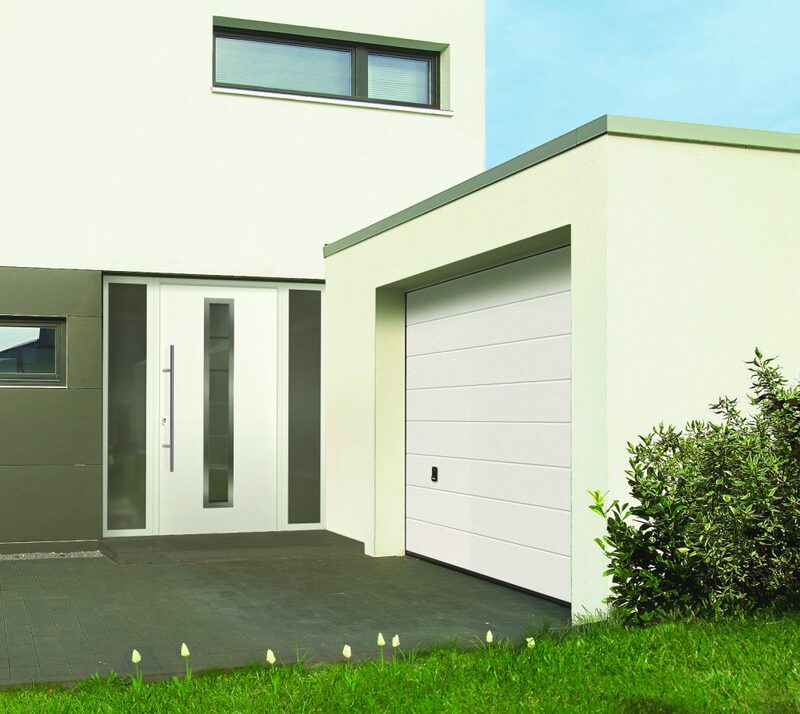 The front entrance doors are all produced within the Garador group offering the same high end manufacturing and functionality as their garage doors including excellent security. SBD accredited front doors are also available. The SBD accreditation qualifies for 2 points under the Code for Sustainable Homes, a government national standard now used in the home construction industry. High density insulating foam is incorporated in all FrontGuard front doors for serious thermal and acoustic insulation and even the door frames and seals have been specially designed to minimise the loss of heat and to eliminate thermal bridges. The FGS 700 FrontGuard front door has a stunningly attractive design and a U value down to 1.5 W/m2k. The FrontGuard range offers a number of additional features such as rubber sealing on all four sides of the door panel; a 5 point high security locking system, 3 way adjustable hinges for quick and easy installation. With a choice of 14 colours and finishes, and optional features such as transom lights, brass or chrome spy holes, window drips and an electric strike plate with key catch for keyless access, you can build a door to suit your requirements. This range of FrontGuard front doors along with an extensive choice of Up & Over and Sectional garage doors, confirms Garador’s leadership in the external door market and with prices from just £898 (excluding VAT) for a front door they offer excellent value for money.